It’s easy to return any products you don’t need. Just send them back to us within 14 days for a 100% refund. There’s no restocking fee and we’ll even repay your original delivery costs. 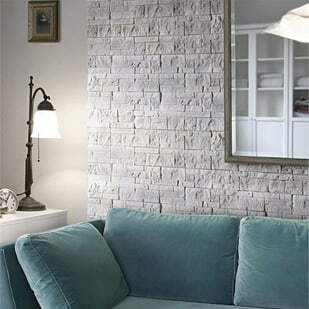 Are you looking for stylish internal wall panels to add a touch of elegance your home? Whatever room you’re looking to furnish, you’re in for a treat… We’ve got something for you. With 25 years’ experience (and some serious industry knowledge), we’re confident that you’ll find the internal wall panels you’re looking for, at the best price, when browsing our products online… Especially when there are over 360 options to choose from! Our range of internal wall panels are unique: they give the sleek, polished and modern effect of traditional tiles, without the hard work. (When we say hard work, we mean everything from fitting to maintaining.) Take your pick from laminate panels or tile-effect material. 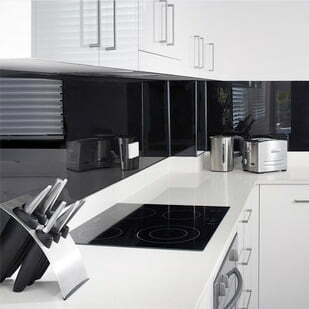 Or, you could really push the boat out and opt for a unique PVC panel to give your kitchen or bathroom the extra edge. Either option is a winner in our books. If the appearance of our internal wall panels is impressing you, you’ll be delighted to hear that fitting them in your home will almost be as enjoyable as looking at them. That’s because our panels use a unique tongue and groove system, where panels interlock during fitting. 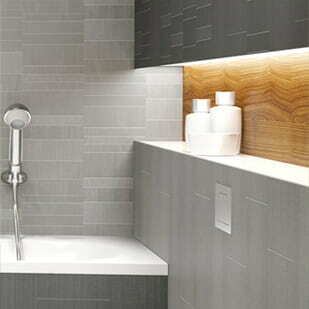 The tile-effect appearance of our internal wall panels also makes them extremely hygienic. 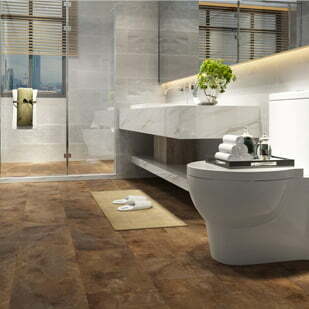 That’s because the PVC surface doesn’t allow mould or bacteria to grow, unlike traditional tiles. 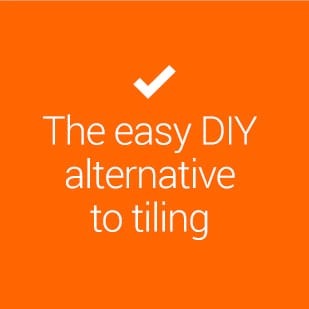 Say goodbye to buckets of grout and tedious cleaning! When you’re purchasing new products to furnish your home, shopping around can be a frustration. That’s why we offer a wide range of wall panels for kitchens, bathrooms and commercial properties, all under one virtual roof. Plus, our range of trims and fixtures means you won’t have to shop around for the bits and pieces to complete your internal wall installation – no matter which room you’re renovating. Talk about a one-stop shop! Each tile that we stock comes with a 10-year guarantee. So, if you’re looking for a cost-effective wall solution that will last for decades, you might’ve just hit the jackpot with our internal panels. Along with this 10-year guarantee, we also offer a delivery satisfaction guarantee. If you’re not happy with how your wall panels have arrived, you can post them back to us – free of charge. Feel free to browse our collection of internal wall panels, or contact us today. With years of experience helping hundreds of happy customers create a sophisticated wall solution without a hefty price tag, we’d love to help you turn your kitchen, bathroom or commercial property into the space of your dreams. From taking measurements to chatting about your choices, simply contact us today on 0114 332 8210 to chat with one of our friendly team. 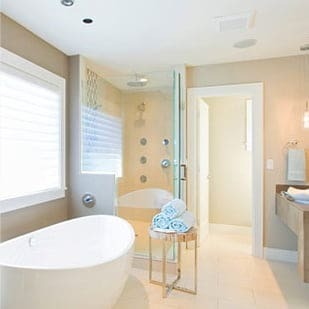 All our wall, ceiling and flooring panel products are very simple to install for a DIY person or professional. Call our team, our team will be happy to help you with your installation and product information. 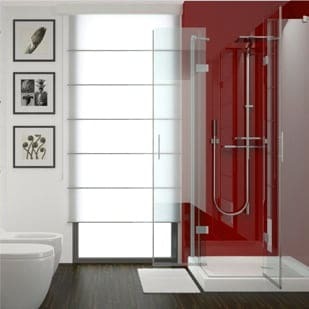 Over 360+ panel varieties in stock - huge range of colours and styles to suit any room. Rest assured, we back our products with a 10 year warranty.